Does your scooter smell of mint? That’s because it’s a polo! Boom boom! 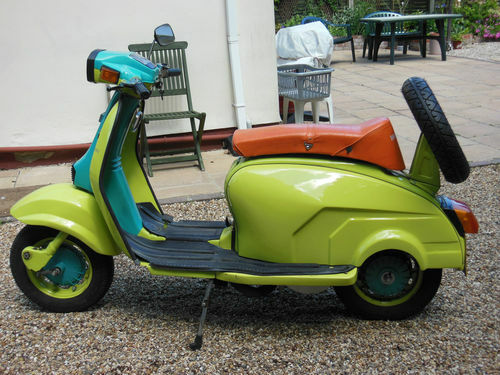 Ok, dad joke out the way… here we have a very rare 1991 Lamby Polo, an Indian evolution of the SIL Lambretta. The seller reckons there are only 12 registered in the UK. I’m surprised it’s that many. Because it may be rare, but it sure is ugly too. Some designs grow on you after time. But I thought the Lamby Polo was ugly “back in the day” and I think it’s ugly now. 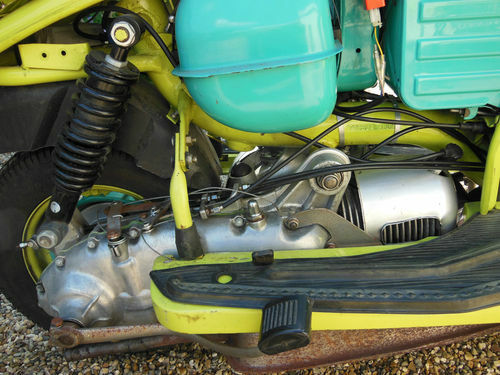 If you want an object lesson in styling …or rather how to take a classic design and wreck it, just take a look at this scooter. To put things in context, this was the era of the PX and PK V#spa, and the Polo was trying to bring a 1960’s design (well, late 50’s really) into the 80’s. But sticking on big ugly indicators, a horrible headlight and PX style horncasing, as well as a turning front mudguard (just use the lovely Eibar style one ffs!) and casting a bizarre, “go faster” shape into the sidepanel just doesn’t work. Ok, it was for the Indian market, not here, but it didn’t cut it over there, by all accounts. The best thing about this scooter, IMHO, is the seat. And that looks awful in this scooter. Who would put orange with lime green and turquoise. But it would look fine on another scooter. Anyway, you probably got it by now that I don’t like this scooter very much. But it is a Lammy, sort of. And it might float your boat. Or you might be a collector who fancies it for rarity value. Or your Indian, and you want to relive your youth. Well, you can put a bid in on eBay, here. 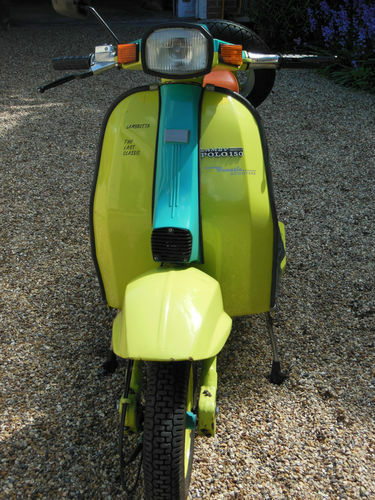 If it was me, I’d buy it, take off eveything that makes it look like a Lamby (store all that carefully), stick on a standard S2 headlight and horncasing, and you’ve got a cheap(ish) Lambretta. 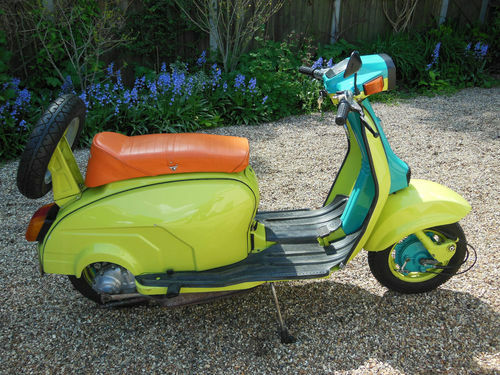 This entry was posted in For Sale, Not a Lambretta, Scooters and tagged For Sale, Indian, Lamby, Lamby Polo, rare by crocodilejock. Bookmark the permalink.